Brendan Yuill, Ph.D. is a Research Scientist for The Water Institute of the Gulf, primarily working on applied research related to river sediment processes and hydrodynamics. He has more than 10 years of experience investigating geomorphic and hydrologic problems in riverine and coastal environments, using both field-based and numerical methods. At the Institute, Dr. Yuill has managed and collaborated to address problems related to riverine sediment diversions, managing and monitoring borrow pits, and subsidence. Dr. Yuill is a member of the Physical Processes and Sedimentary Systems team and routinely coordinates and executes field data collection campaigns throughout coastal Louisiana. 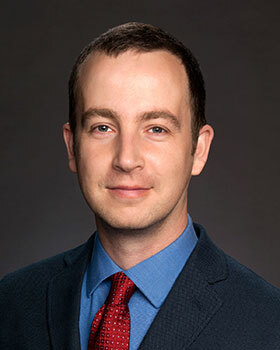 Prior to joining the Institute, Dr. Yuill was employed as a research geologist at the U.S. Army Corps of Engineers Engineer Research and Development Center and as a post-doctoral researcher in coastal restoration at the University of New Orleans. Previous to that, he earned his Ph.D. in watershed hydrology at the University of Arizona. He has developed and managed research projects on a wide range of topics including coastal subsidence, river restoration, sediment management, and floodplain risk assessment. His current interests span the field of engineering geomorphology, from hillslope erosion to receiving-basin sedimentation.